Scientists were wrong about speed of light ?! A challenge has been thrown down to the consistency of the speed of light, based on an anomaly from the most closely observed supernovae of all time. In 1987 astronomers witnessed the only supernova in 400 years close enough to Earth to see with the naked eye. The first hint of the event came not from telescopes, but neutrino detectors. Neutrinos and photons were assumed to have crossed space between the Large Magellanic Cloud and us at the speed of light. However, light does not always travel at 3x108 m/s. Just as glass or water will slow light down, the dense core of a supernova is expected to impede photons so that neutrinos will reach us first. Models of supernovae suggest the delay should be about three hours. 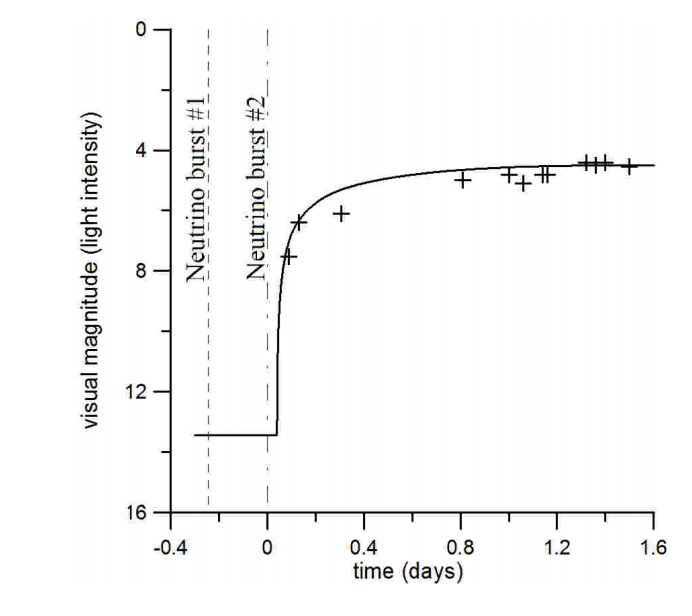 However, rather than witnessing a single burst of neutrinos three hours before the first light was observed, detectors picked up two bursts, one 7.7 hours earlier, and the other 4.7 hours. Some models of supernovae predict two collapses, and thus two rounds of neutrinos, but the timing is puzzling since it is the first round that should beat the light by three hours. Professor James Franson of the University of Maryland, Baltimore, believes that these observations require a rewrite of light's behavior. He claims that quantum mechanical effects slow light down under certain circumstances. The effect is very, very small, but over a distance of 163,000 light years could account for the discrepancy in observations. 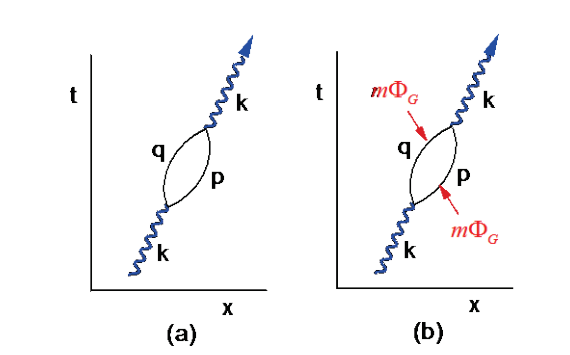 In the New Journal of Physics, Franson draws on vacuum polarization, a well established phenomenon where a photon of light sometimes turns into an electron-positron pair. These then recombine to become a photon again, traveling along the same path, but after a tiny delay (see diagram). However, Franson argues that these events are not random, but affected by gravitational fields. "Roughly speaking, the gravitational potential changes the energy of a virtual electron-positron pair, which in turn produces a small change in the energy of a photon,” Franson says. “This results in a small correction to the angular frequency of a photon and thus its velocity.” He describes the equivalent effects on neutrinos as “negligibly small in comparison”. If Franson is right gravitational fields, particularly from the center of the galaxy, would have slowed photons down by the required amount. “The predictions of this model are in reasonable agreement with the experimental observations from Supernova 1987a, in which the first neutrinos arrived 7.7 hours before the first photons,” Franson says. The alternative explanation is that the second neutrino burst was the one triggered at the same time as the original release of light. Even if the delay was 4.7 hours, rather than three, the puzzle of the earlier neutrino flurry remains. Directional detection of neutrinos is very poor, so some astronomers have assumed that these neutrinos were a coincidence, originating from some other source. Franson claims the probability of such a chance event is 1 in 10,000.